• Premium quality, 13 point thick Manila tags. 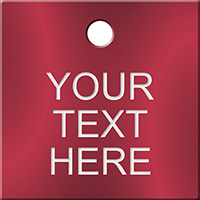 • An option to choose tags from 2.75” tall to tags that are 8” tall. • Fiber reinforced patch included in every order. The patch provides pull strength to your tags. • You will be able to select wiring and attachment options as well as eyelet types on the next screen. 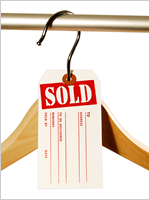 When you buy from us, you get the best quality manila tags at the best price. It’s simple. 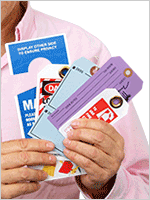 Answer a few questions, hit Next Step and immediately see prices for a range of sign materials. Select the size that you need. 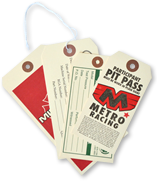 Do you want printing on both sides of the tag? Click on the color that you want to print on your tag. Black Ink Ships in 3 - 14 days. Other Colors ship in 14-21 days. Enter the quantity of tags that you want. Minimum quantity is shown below. Enter a project name. This will be used to identify items on quotations, order status and invoices.